It’s spring, and as predictably as snow melts, rivers are flooding. 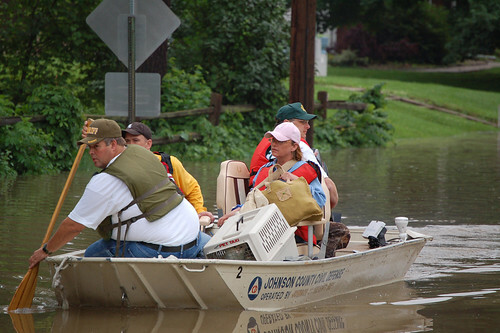 Newscasts are peppered with enthusiastic sandbag teams, good Samaritans boating through neighborhoods, and inevitable mentions of the remarkable number of “10-year” or even “100-year” floods in recent years. Vermont, a state with a smaller population than the city of San Francisco’s, has become a leader in the effort to reduce the costs of flooding through unconventional means: ripping out levees to let rivers flood naturally and providing towns with financial incentives to discourage building in floodplains. Cities from Charlotte, North Carolina, to Portland, Oregon, have taken similar actions, and comparable concepts are percolating inside federal agencies. He realized that Vermont’s approach — and the ideas of much of America’s river science establishment — was simply wrong. The best way to deal with erosion, flooding and all the other problems associated with out-of-control rivers wasn’t to manage the river. You just had to give the river enough room to move, change and create its own floodplain, and then get the hell out of the way. “If we leave the rivers alone, in a sense, they’ll fix themselves,” Kline says. As I write this, heavy rains on the East Coast are threatening to take many rivers over their banks, and southern Vermont is under a flood watch. Perhaps the next few days will offer an indication of the success of Vermont’s approach. Image by U.S. Geological Survey, licensed under Creative Commons.